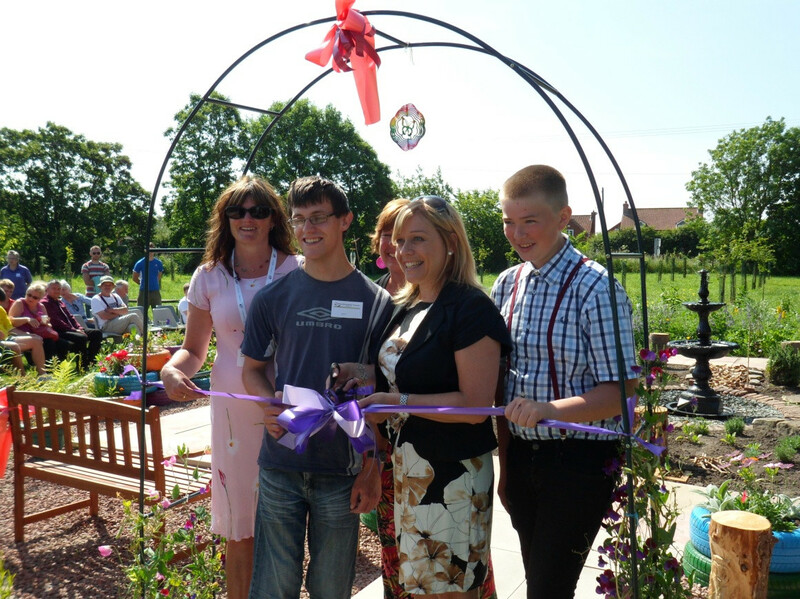 Tuesday, 16th July saw the Grand Launch of our new Sensory Garden, after five months of planning, preparation and hard but enjoyable work! We were fortunate to secure a �1000 grant from the Neil Hudgell Solicitors Trust back in February to create this. The area is a stimulating, yet peaceful area, with lots of colourful sights, sounds, smells, touches and tastes and will benefit all our clients and visitors. The making of the Sensory Garden has been a journey, but one which has been enjoyed by everyone on the farm. We are looking forward to watching it grow and develop further! A very enjoyable morning was had by all, which began with drinks and cakes and was followed by tours and entertainment and, of course, the grand opening of the Sensory Garden by Jo Hudgell of the Neil Hudgell Solicitors Trust. Thank you to everyone who attended, helped out and supported us.